Live blog: Explosions at Boston Marathon via Boston.com. "We're exhausted folks, but we have a victory here tonight," Col. Alben says. "We're exhausted, folks. But we have a victory here today." "We have a suspect in custody." Gov. : On behalf of the victims who died, the hundreds who were hurt, I want to say how grateful I am to all of law enforcement who worked so hard together - together - to come to this resolution. "There are still some questions remaining to be answered," Gov. Patrick says. Gov: Because of all these professionals who brought their A game, we have a suspect in custody tonight. Patrick: "It's a night when I think we're all going to rest easy." Ortiz, Patrick, subdued, talking about victims, police. "This will continue to be an ongoing and active investigation as we sort through all the details," US Ortiz says. The B.A.A. joins all citizens of the Commonwealth of Massachusetts in thanking the federal, state and city law enforcement community for the resolution of today's manhunt. BOSTON Stands As One! 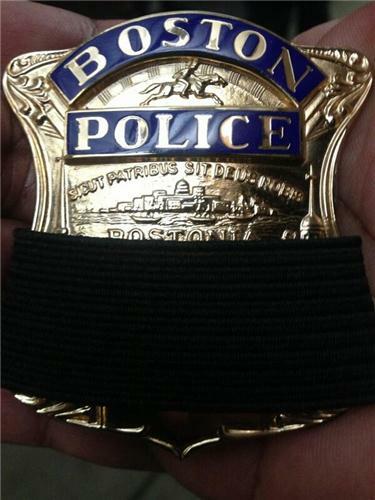 At this time, we remember Martin Richard, 8; Krystle Campbell, 29; Lingzi Lu, 23; and Officer Sean Collier, 26. We also remember all of those injured on Monday, and their families. President Obama: We owe a debt of gratitude to all our law enforcement officials. Obama: We send our condolences ot the Collier family, who lost their son Sean, police officer at MIT. Obama: Whatever hateful agenda drove these men to these hateful acts cannot prevail. They failed because of the people of Boston. We will not break the bonds that hold us together as Americans. Obama: Our nation, and the city of Boston, welcomes people from all over the world. So as we continue to learn more about how and why this tragedy happened, let's maintain this spirit. Obama: Don't forget the tight-knit community in West, Texas that also experienced a terrible tragedy. They will have the resources they need to recover. Obama: we have the strength and resiliency to overcome these challenges and move forward - one nation under God, indivisible, with liberty and justice for all. A Watertown resident who lives two blocks away from where suspect was caught answers his cell phone: "We got him!" Crowds are gathered on sides of Mt. Auburn Street, cheering and clapping for passing cruisers. You know what it reminds me of? The marathon.